This bright, stylish, 2,222 square foot newly constructed town-home features 4 bedrooms, 4 bathrooms, an expansive versatile loft and a spacious balcony. The alluring interior showcases it's warm modern styling with fashionable wide- plank wood flooring, custom stair railings, an impressively tiled fireplace and expansive high- vaulted ceilings. Designer quartz counter tops, stainless steel appliances, upscale sinks, faucets, fixtures and built-in closets further enhance this stunning home. 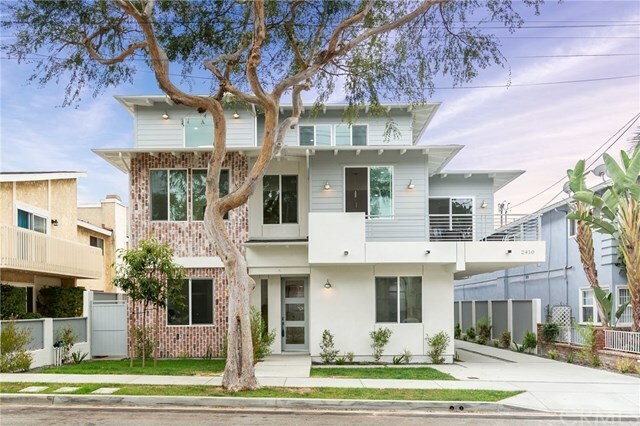 In addition, to being thoughtfully designed and finely crafted, this home is located in Redondo Beachâs highly desirable award-winning school district - completing your search for the perfect chic - beach lifestyle.